PAY PER VIEW Sonoma Coast State Beach at Salmon Creek—home of a would-be iron ranger. The term "iron ranger" may invoke a misbegotten 1980s hard-rock hybrid between San Francisco's Night Ranger and British metal legends Iron Maiden—but of course beach-loving readers of the Bohemian know the iron rangers as the devilish devices that the state wants to install in eight coastal parks and parking lots in Sonoma County. Critics have knocked the state's pay-to-park plan for its dishonoring of the 1976 California Coastal Act, which enshrines equal access to the beach for all, regardless of one's race, class or gruesomely weathered lizard skin. The issue will likely be resolved late next week when the California Coastal Commission meets in Santa Rosa to take up the proposal. The pay-to-park fight has waged for several years between the California Department of Parks and Recreation (which wants the parking fees) and Sonoma County (whose supervisors unanimously rejected the plan in 2013). 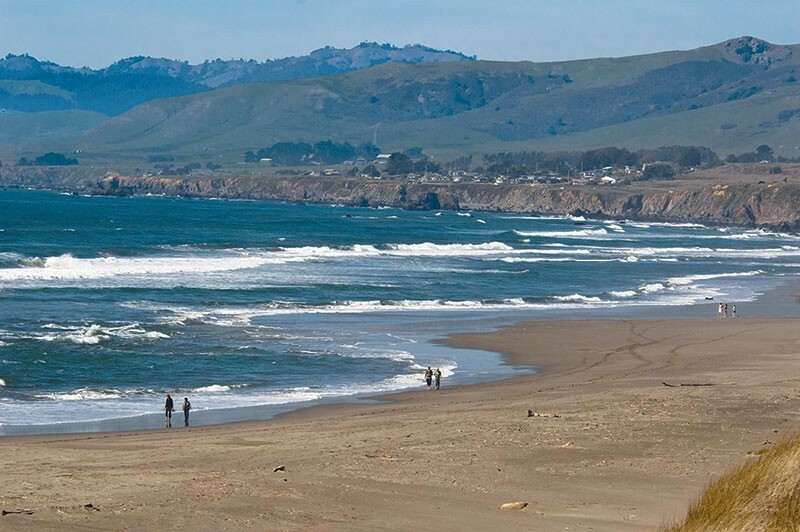 The iron rangers would be installed at destinations like Goat Rock, Salmon Creek, Shell Beach and other spots along a 35-mile stretch of Sonoma County coast. The state appealed the county's decision to the commission, which will meet on April 13–15 at the Veterans Memorial Auditorium in Santa Rosa. The meeting was moved from a smaller facility in anticipation of big crowds. Every indication is that the commission is going to nix the state's plan, since that's what commission staff recommended in an epic February report on the dust-up that ran to over 700 pages. There, commission staff noted the popularity of the subject beaches, which draw over 3 million visitors annually—almost all of them arriving by car, and many from lower-income residences of Sonoma County. "These facilities are essential for continuing lower-cost access to the coast at all for many economically disadvantaged groups," the commission staffers noted, "including the significant Latino population centers located near and within the city of Santa Rosa. In many ways, the question of whether to charge fees here can also be considered a question of social justice." That's what local critics of the plan said when the state first announced its intention to install the iron rangers. The machines have themselves been upgraded by the state over the years, and the state apparently believes this should be reason enough to install them—while also suggesting that charging people $8 to park for the day will bring more people to the beach. Don't you love how technology provides its own rationale? In a 2015 letter to the Coastal Commission, the state says it "will demonstrate pay station installation will not result in damage to coastal resources, and will actually enhance public access to the coastline within Sonoma County. . . ."
"The available technology now employed has rapidly evolved and improved," the letter continues, before describing the high-tech machines as solar-powered, WiFi-equipped devices that "allow for the purchase of day use access through the use of cash, debit, credit, and Pay Pass options. . . . Users can add time using their smartphones in locations where cell phone service is available, and [California State Parks] can alternate rate schedules to ensure maximum access is promoted." "You're motoring / what's your price for flight?" asked Night Ranger's Santa Rosa–based frontman Jack Blades, in the band's hit "Sister Christian." Next week's Coastal Commission meeting ought to answer that question once and for all. Oh, the time has come.